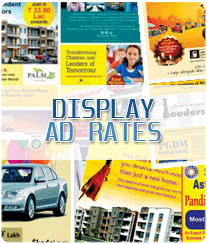 We are one of the leading Advertising Agency serving clients from Davangere with lowest quotes and effective media planning for all Davangere Newspapers. 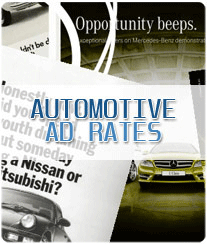 As an Ad Agency we have severed many satifiying clients for their newspaper advertising needs. 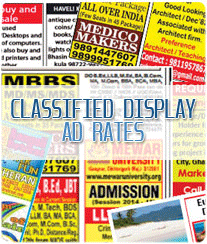 The first thing is to decide what type of ad you wish to advertise in Davangere newspapers. Accordingly choose the category from the given list. 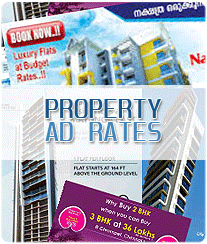 Now choose the newspaper for Davangere city according to your requirement. You can choose newspaper by Circulation or by language. 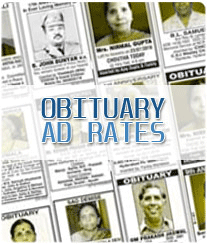 After choosing newspaper click on View Ad Rates to review full details of chosen newspaper for Davangere city. 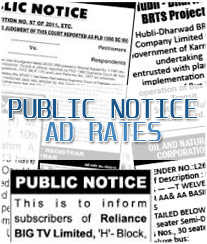 Check the Ad Rates which are mentioned in Rupees per square centimetre for the advertisement categories except Classified Text Ad for Davangere Edition. 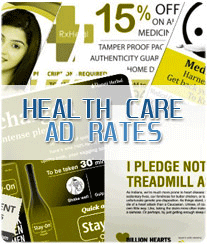 Once you decide the size prepare a draft for your advertisement and send us the content in any format along with your selected newspaper for Davangere, edition and scheduled date to avail lowest quote along with discount which we offer to our clients. Once you confirm the quote received from us for selected Davangere newspaper, we would send you an invoice with all available payment options. 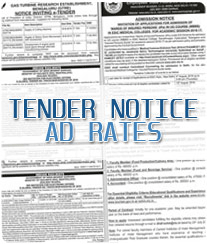 And finally after the payment is received our designing team would start designing your ad as per your requirements and it will get published on the date chosen in selected Davangere newspaper. 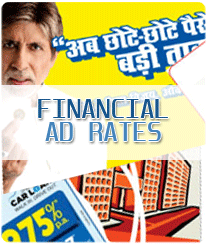 Why you should choose Advertising Agency to advertise in Davangere Newspapers? 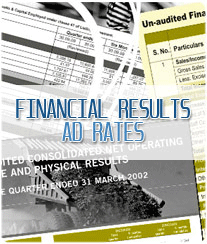 Bhaves Advertisers is a leading advertising agency of Davangere. 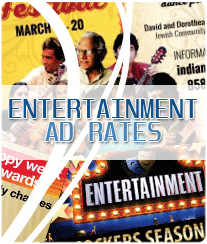 With 2 decades of our experience in advertising industry we have gathered crucial information about advertising in Davangere Newspapers which enables you to advertise effectively by reviewing Tariff, Circulation details, offers and everything else related to Davangere newspaper advertising. 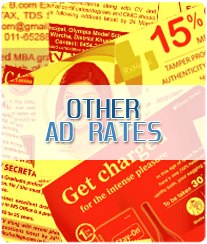 By understanding the pains of getting an advertisement printed in a newspaper, we have created a digital platform which helps you to book and release your ads in Davangere Newspapers in a simplified manner and that to at the lowest cost. There are various newspapers in Davangere. Kannada being local language of Davangere is been dominated by Kannada Language newspapers. But every language newspaper has its presence in Davangere. 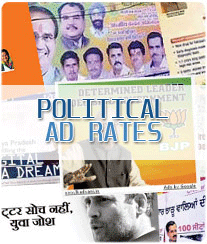 Popular Newspapers in Davangere are Vijay Karnataka, Prajavani, Deccan Herald, Uday Vani, Times of India, Bangalore Mirror, Daily Thanthi, Kannada Prabha, Rajasthan Patrika, Economic Times, The New Indian Express, Business Line, Business Standard, Financial Express, Dinakaran, Malayala Manorama, Mathrubhumi and many more. 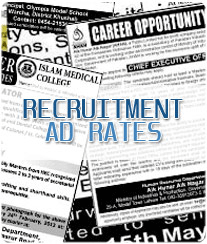 Get Advertisement Rates and details for all this newspaper. 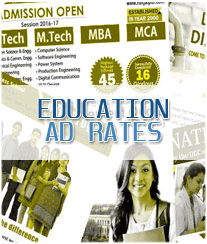 We help you advertise effectively in newspapers of Davangere. 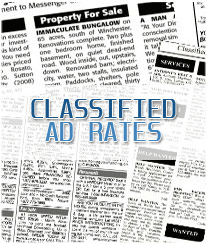 Book Times of India Classifieds, Vijay Karnataka Classifieds, Prajavani Classifieds, Deccan Herald Classifieds, Davangere Mirror Classifieds, The Hindu Classifieds, Deccan Chronicle Classifieds, New Indian Express Classifieds, Kannada Prabha Classifieds, Rajasthan Patrika Classifieds, Economic Times Classifieds, Business Line Classifieds, Financial Express Classifieds, Malayala Manorama Classifieds, Mathrubhumi Classifieds, Daily Thanthi Classifieds, Dinakaran Classifieds online for Davangere Newspaper Publishing.